Cole Sprouse's character Jughead is the resident brooding artist on the CW's Riverdale, but he's also a talented photographer in his own right. 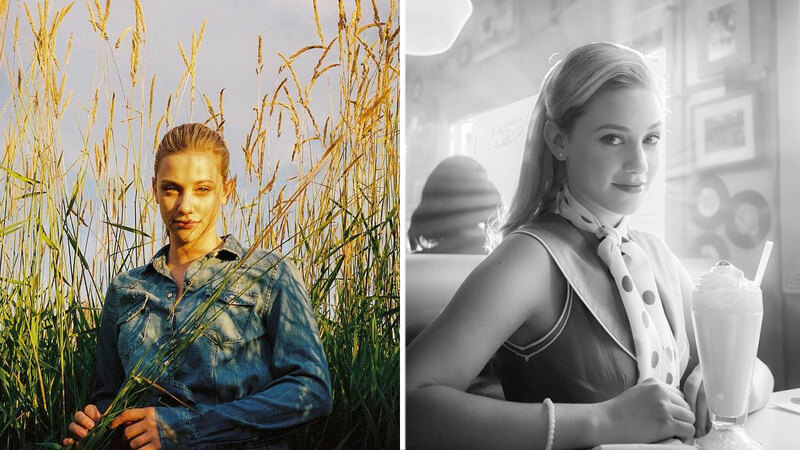 While most of the photos he shares on his Instagram aren't related to Riverdale, on Wednesday, he dropped a photoset of gorgeous retro-inspired portraits of cast members including K.J. Apa (Archie), Camila Mendes (Veronica), Ashleigh Murray (Josie), Madelaine Petsch (Cheryl), Casey Cott (Kevin), and of course, on- and off-screen girlfriend Lili Reinhart (Betty). Considering the level of retro vibes in the shots (the hair and fashion styling, particularly), it seems possible that these are all snippets from a dream sequence or some other surreal bit on the show. He also mentioned in his caption that these are BTS pics from the latest season of the series. So, what's up with the retro costumes? Tune in starting October 11 to find out.